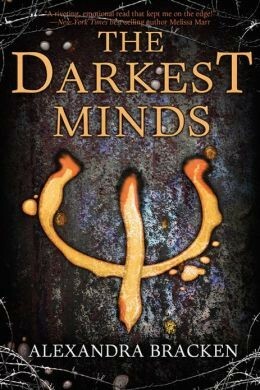 The Darkest Minds written by author Alexandra Bracken is the first book of her new series. The Darkest Minds published in December of 2012, second book Never Fade in October of 2013, and her third book yet to come out in December of 2014. I am extremely excited to finish reading this set of book. 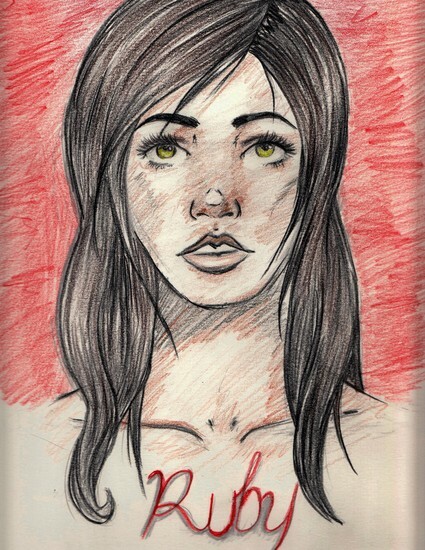 The book takes you alongside the main character Ruby on her life changing journey. It all begins in 4th grade when Ruby witnesses IAAN take it's first victim from her class, Grace Somerfield. Soon after almost every child contracts IAAN and most of Ruby's class gets wiped out. Parent letters were sent home with information and symthoms to be aware of, same text aired nonstop on the news. The IAAN "disease" is short for Idiopathic Adolesant Acute Neurodegeneration. This "disease" affects childred between the ages of 9 and 13. The book never said about why the "disease" hit and if it affected anywhere else but in America. 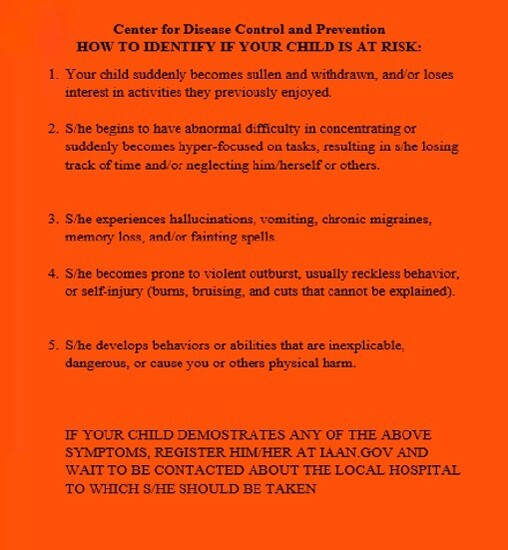 IAAN cause children to have PSI (physical abilities). Unfortunately not everyone gained powers, most of the kids died from the "disease". These children were feared by adults and authorities, so at first sign of any symthoms they were removed from their homes and put into "rehabilitation centers/camps". Once taken away and put into hidden and secret "rehabilitation centers" , the PSI kids were evaluated and separated by a different colored X marking representing their power. The PSI powers were decided between Green, Blue, Yellow, Orange, and Red. Green- extremely intelligent and are good with mental tasks. Blue- telekinesis, obtain the ability to move objects using only their mind. Red- ability to create fire. Ruby contracted the "disease" on her 10th birthday and got sent to camp the same day. She accidentally wiped her family's memories away causing them to lock her up in the garage and leaving them completely clueless. From the age of 10 to the age of 16, Ruby was locked in a "rehabilitation facility" called Thurmont to get help and to get treated. When Ruby went though her examination during placement she somehow managed to convinced the doctor that she is a green, therefor not put with the other dangerous ones that later on lost their lives. With time after 6 years the PSI officers and doctors had came up with a new way to test for any reds or oranges that might of been left over, it was simply called the Calm Control/ White Noise. Ruby was identifies not too long after they stated experimenting with the White Noise. Luckily the doctor taking care of her is a member of the Children's League named Cate. With her help Ruby escaped and was out on the run with an accompany of another boy, Martin who shared the same power as Ruby, they were both orange. The Children's League is mostly talked about as an organization that helps children affected by the "disease" and the government's laws and restrictions. Later on though you realize alongside with Ruby that Cate was not trying to help her or anyone else out, but she was collecting the powerful kids that were left and training them to be weapons for their use. This is when Ruby finds herself on the run again but this time alone till she meets a group of runaways headed the same place as she is. Now on the run with her new friends, Ruby and her gang is getting chased by Cate, Rob who is her partner, and Lady Jane who is a skip tracer. A skip trace in the book is a person who hurts down kids that have escaped from their centers of rehabilitation. Thankfully they escaped them with their magnificent powers. They are headed to East River, a wonderful place set up for kids like them so that they can live freely. With little information and direction to their destination they head to Virginia, stopping at places on the way like a warehouse for supplies and there they also meet more kids. On their journey Lady Jane catches them but once again Ruby steps up and helps escape by using her mind control abilities. They make their way further and further into their destination and along the way finding out some disturbing information about all the lies they have been told. They find out what exactly the Children's League does, and that the Calm Control was not set off by the officers at the camp, but by Cate who was only doing it to look for more advance power kids. Arriving at East River each of them had taken on a role in order to function as a society. Clancy another orange offered to help Ruby learn how to use hr powers better. Liam is put as security, Chubs does gardening, and the two other girls mostly played around. They don't get to spend much time together and talk, so they don't like it because it seemed just like the set up at the camps. From here on the group gets violent. The two girls left to head home, Clancy gets mad at Ruby for not learning much from him and ending up hurting her causing her to faint. Now Liam got involved and he used his mind control powers to get the boys to beat up Clancy for not letting them leave and what he had caused to Ruby. At the end Ruby sacrificed herself for Liam. She promised to work for the Children's League as long as they spare Liam, the feelings between them are unrealistic and amazing. In her last moments with Liam they talked about each other and at the end she erased his memories. Liam went on along with the rest of the gang, while Ruby stayed back and kept her promise. She is not determined to never show them fear and to never trust them. OUR WORLD, OUR COMMUNITY, MY LIFE? I really did enjoy this book, the one thing I noticed throughout the book was all the lessons that were shared. In our world you hear about kids complaining about everyday things and/or their families, while reading the book it definitely caught my eye and made me make a connection between the situation in the book and what’s going on in our world. In the book the kids that were affected by the IAAN disease either lost their life or gained unknown powers and were locked up in a miserable center. Another little lesson that I noticed and definitely related to was when Ruby went on the run with Cate. Ruby trusted her and followed her instructions but at the end of it all when she should out who Cate really as and what she was really up to. Once Ruby found out what was really going on she lost everything for her and once again ran away. Just like you can’t trust just anyone in today’s world and our communities. One very interesting and weird connection I made with the book had to do with the fact that the kids were receiving special powers. Growing up and still till this day I was taught about Indigo Children. It’s a weird and strange concept but it makes sense to a point. According to a pseudoscientific New Age concept, indigo children are children who are believed to possess special, unusual and sometimes supernatural traits or abilities. It’s a very interesting theory and a lot of people do believe in it. Now indigo refers to the aura the child possesses and such kids do not have abilities to make fire or control minds. 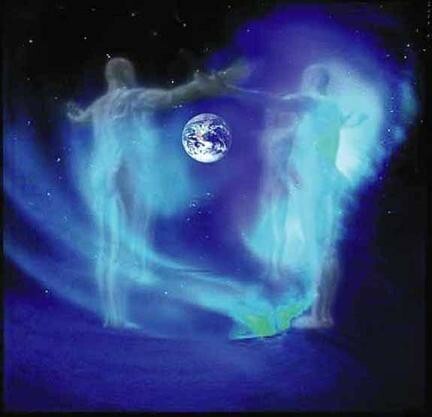 Supposedly indigo children are different from others in a good way. And this book really reminded me of all that and its interesting to view all the similarities.